C.C. 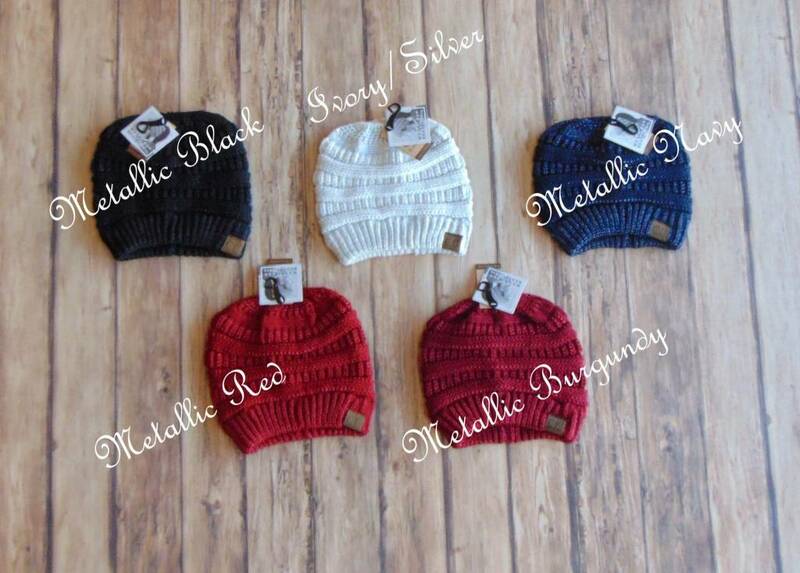 Metallic Messy Bun Beanie - Stori Anne Co.
100% Acrylic. Classic C.C. 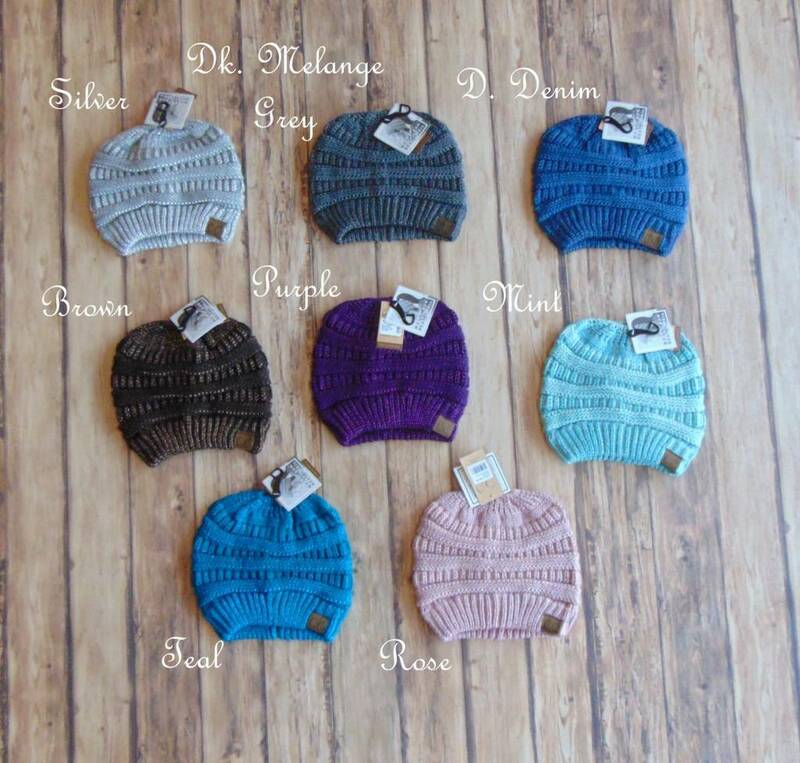 beanie look with a metallic detailing throughout and an elastic hole on top to show off your hair this fall season! Pony tail or messy bun - it's perfect in this hat!